Accessibility is about making changes or adjustments to computers so they are easier for the user to access. All organisations need to ensure that their computers can be made accessible to those who have difficulty reading the screen, problems using the keyboard and mouse, or reading and writing difficulties. In most cases this can be achieved through making minor, low-cost changes to system settings, or adding low-cost alternative kit. Cambridge Online is able to provide a range of free ICT accessibility help and support services for individuals and third sector groups. Depending on the needs of the person we’re working with, we might use different types of devices and software to help them access the computer more easily. 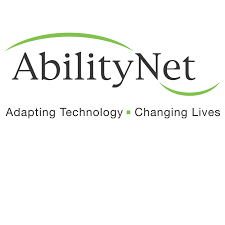 Please see the excellent introduction to this field on AbilityNet’s site. In 2006, the ICT Hub commissioned an Accessibility Champion in each region. Cambridge Online is the Accessibility Champion for the East of England.